Camping is tons of fun for the whole family. You get to experience the great outdoors, get in touch with nature, and cook over a campfire. But there’s one thing nobody likes about camping—sleeping on the cold, hard ground. Sleeping bags just don’t give you the comfort of a real mattress. But camping doesn’t have to mean giving up your mattress. There are tons of options for mattresses that you can actually bring with you on your camping trip. Comfort: Of course, you want to choose a mattress that’s comfortable. Look for mattresses with thick, dense foam. Memory foam is especially comfortable. If you’re choosing an inflatable mattress, like an air bed, look for one that’s thick enough to offer cushion and support. Durability: Some mattresses are specially designed for camping in the rugged outdoors. If you plan to use your mattress for camping frequently, you’ll need a mattress that can withstand the elements. The best mattresses for camping are waterproof and easy to clean. 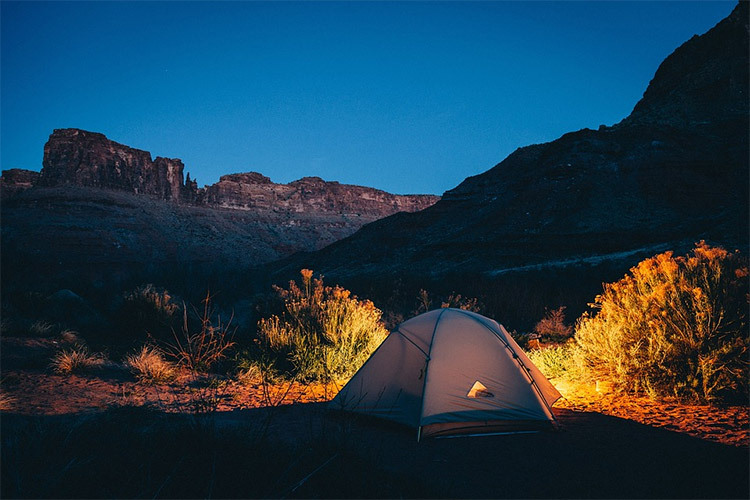 Weight and portability:If you’re going to be hiking to your campsite, the weight and portability of your mattress is a major factor in choosing a mattress for camping. Inflatable mattresses are easier to transport, as they’re extremely light. Some folding mattresses are fairly light, too, and many come with bags or handles for easier carrying. One excellent option for camping is a folding mattress. Folding mattresses are like a mattress pad that folds up for easy transport. Most folding mattresses are made with either memory foam or basic polyurethane foam (or a combination of both). When choosing a folding mattress for camping, look for one that is durable, lightweight, and easy to clean. Many folding mattresses come with removable covers for easy cleaning. This means even if you set your mattress right on the ground at your campsite, you can take the cover off and throw it in the wash when you get home. You’ll have a variety of different sizes when shopping for folding mattresses, too. Most folding mattresses come in a twin or twin XL size, but there are some in full, queen, or even king size. Larger sizes may not be ideal for camping, as they don’t fold up as easily and can be bulky to carry around to the campsite. You can also choose from a variety of thicknesses when selecting a folding mattress for camping. Most folding mattresses are either 4 inches or 6 inches thick. With a high density or memory foam folding mattress, you should be comfortable on even a 4-inch folding mattress. For portability combined with comfort, it’s hard to beat an air mattress. Air mattresses are especially easy to transport because they can be brought to the campsite uninflated, with no air in the mattress. This makes the mattress much smaller and easy to store than a folding mattress. Once inflated, most air mattresses resemble a standard mattress, and are fairly comfortable to sleep on. Air mattresses with a layer of memory foam or a memory foam topper are especially comfortable. When selecting an air mattress for camping, look for one specially designed for camping or outdoor use. Don’t make the mistake of buying a regular indoor air mattress for your camping trip. Air mattresses made for camping are far more durable, with thick lining that will keep the mattress from being punctured by rocks. They’ll also be more weather-resistant, keeping you warm and dry all night. The biggest drawback to air mattresses for camping is the difficulty of inflating the mattress. Most air mattresses are impossible to inflate with your breath alone. This means you’ll likely need a portable air pump machine, which can add weight to your camping pack.